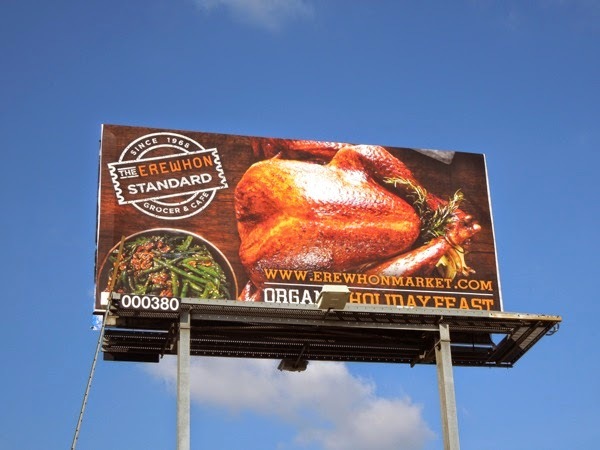 Today Daily Billboard doesn't want to take up much of your time as we're sure you have other plans in store, so feast your eyes on these Thanksgiving-themed beauties to get you in the holiday spirit and get your mouth watering. 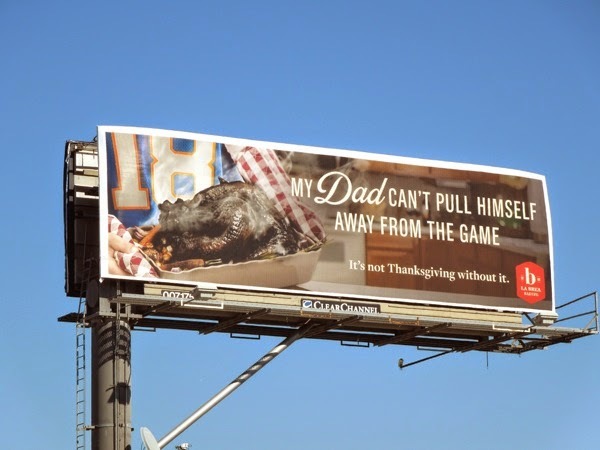 For many Thanksgiving can be a stressful celebration with so many guests to cook for, so don't go getting distracted by the game on TV and burn your bird, as that'll be the perfect way to start a family argument (and will forever be brought up at gatherings in the future). 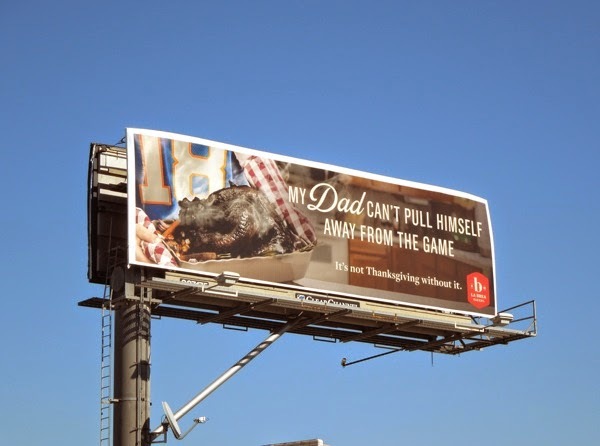 These outdoor ads are two very different approaches to the annual American holiday. 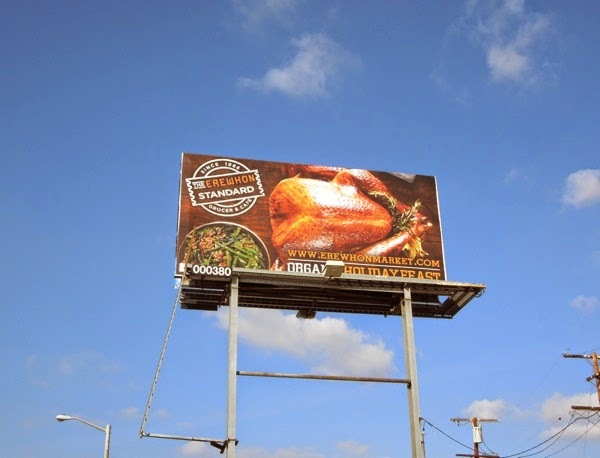 This fun burnt turkey La Brea Bakery billboard was spied along La Brea Avenue on November 5, whilst the delicious looking Erewhon Market ad creative was spotted along Fairfax Avenue on November 12, 2014. Make sure you don't overcook your dinner, and wherever and however you may be spending your Thanksgiving, with friends or family or by yourself, tuck in and enjoy. P.S. 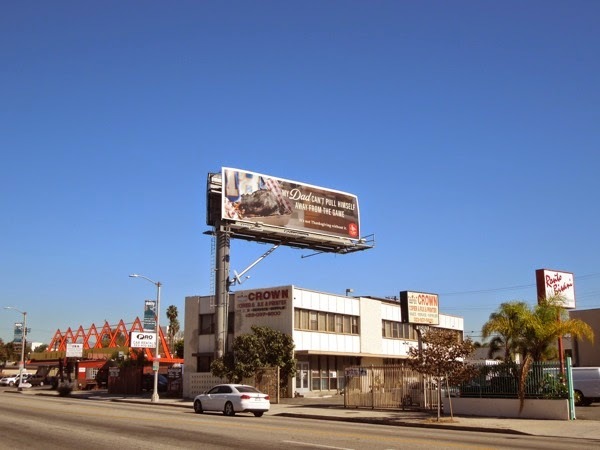 This year Daily Billboard is thankful for your continued support, the daily visitors and the encouraging messages, comments and suggestions, and looks forward to seeing you come back to visit soon.